Simple idea, fancy French name. This is delicious coffee with milk, all in one clever capsule. 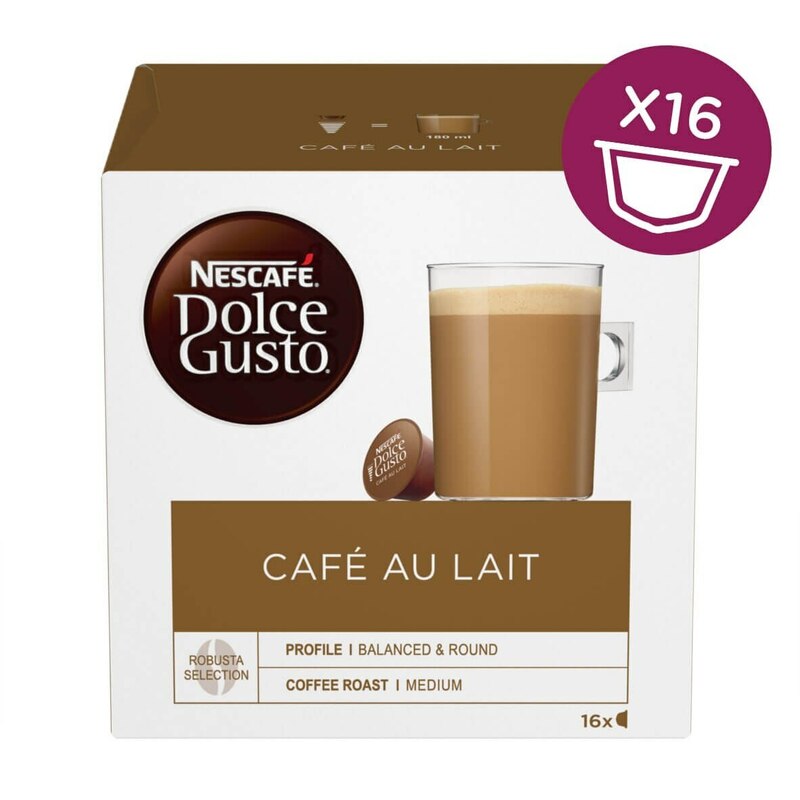 One of our most classic coffee pod drinks, Café au Lait has the iconic taste of milky coffee that’s brilliant for any occasion – from the everyday to the extra special. We think it’s especially yummy in the morning as a breakfast accompaniment, but these milky pod coffees are fantastic at any time of the day. So, whether you love to savour your Café au Lait as an everyday treat to yourself, or pop in a pod to enjoy with friends, we think you’ll love our Café au Lait coffee pod drinks. Making these velvety pods couldn’t be simpler. Because the rich coffee and the milk are mixed together in one pod, great tasting coffee is just moments away at the touch of a button. Also, thanks to the maximum 15-bar pump pressure in our beautifully designed coffee machines, you can expect the same quality that you’d get at a coffee shop. Crowned with creamy, silky foam, our lovely Café au Lait pod drinks don’t just taste great; they look the part too. This appears to be instant coffee and dried milk in a coffee pod. It doesn't have any of the flavour or character of the other pods we have bought. It doesn't even contain micro grind coffee or similar. I could make better tasting coffee with Nescafe instant and some dried or fresh milk saving a huge amount of money and keeping many pods away from the environment. We will not be buying any more. Any of the Americano range with fresh or dried milk is really nice! Purchased a box of pods in JS Sainsbury, got home expecting to make a lovely coffee. Instructions none. 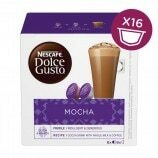 There is no indication that you need a machine to make the coffee on the outside of the box, It just shows a lovely frothy coffee and a pod, misleading or what!! I'm sorry to hear that you do not have a Dolce Gusto Coffee machine. I am sending you a separate email regarding the pods you have purchased in error. Again another disappointment no coffee taste! McDonald's have got their coffee spot on these days. Need to taste the coffee! I like my coffee like this, always looking forward to getting home after work and sitting down to enjoy. In my top three pods. I should have read the reviews and description before buying this. All I could taste was bitterness, so I tried it with a spoonful of sugar and straight away realised that it tasted just like cheap instant. I can't understand why a product for a coffee machine doesn't contain "proper" coffee. I'll stick to capucchino.